Home » Gun dog training. Lucy taking a rest after training. Watching a dog go left or right, stop, sit or turn virtually in its own body length and come back by use of whistle, hand signal or verbal command is an amazing sight; even more amazing is when it is your dog that you have trained working in synchronicity and harmony with you. 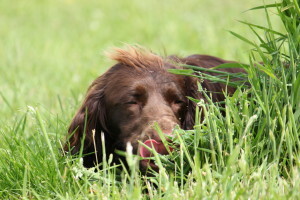 At our safe outside training facility in the open countryside of Burbage, Marlborough, Wiltshire, training with me, Richard Grant of K9 Help, will enable you to have fun with your dog, at the same time as training and focusing its natural skills and abilities. 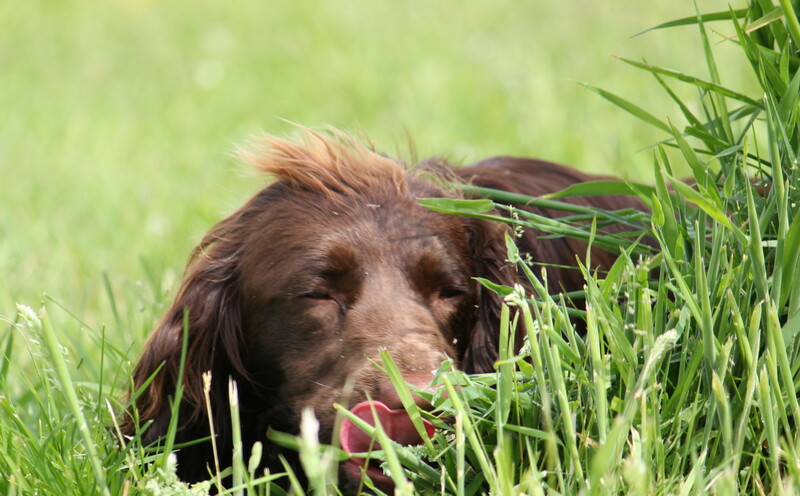 Gun dog training is not difficult, like all training, it just takes patience. Knowing when to move on to the next stage, or to use an alternative technique is something that makes training with K9 Help enjoyable, fun and achievable irrespective of the breed of dog or level of training. Please note, this training is designed for those who would like to enjoy working and training with their dog in a non competitive environment. Recall, use of a whistle. Distance control, sit, hand-signal whistle command.